One-third of global maritime traffic. An estimated $5 trillion in annual trade. Six claimant nations. One body of water. And that’s just on the surface. 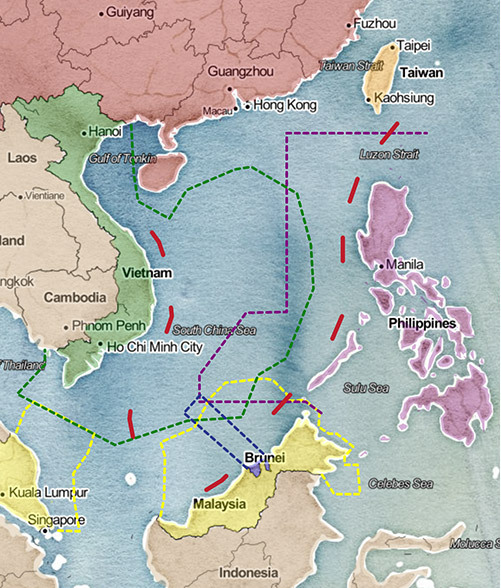 Welcome to the South China Sea, the geographic commons of Southeast Asia’s navigable rimland. Its 3.5 million square kilometers of underlying bedrock contain oil and natural gas deposits that, by official U.S. estimates, are at least equal to Mexico’s and, by some contested Chinese estimates, might be second only to Saudi Arabia’s. Also home to lucrative fisheries and supply routes that carry 80 percent of China’s crude imports, the territorially disputed region may be the most strategically important waterway of the 21st century. The waters are also prized by regional non-claimants. For U.S.-allied Japan and South Korea, situated far to the north, South China Sea shipping lanes provide access to trade-intensive waters of the Indian Ocean, via which more than half of their respective energy needs are met. For non-claimant Indonesia, Natuna Sea fishing grounds along the southern fringe of the contested region hold vital natural gas reserves. Many nations have urged Beijing to abide by the United Nations Convention on the Law of the Sea (UNCLOS), which sets maritime zones of control based on coastlines. The United States, which has signed onto UNCLOS without ratifying it, often relies on the international agreement to settle territorial disputes. China has refrained, invoking intertemporal laws based on the deep historical record, such as archaeological findings on disputed reefs and islands. At best, China views U.N.-backed codes of maritime governance as incompatible with domestic laws; at worst, it sees them as instruments of Western hegemony designed to undercut its expanding influence as a world power. If Asia’s astonishing economic growth of the past two decades continues, however, regional stability will remain a matter of global consequence. Beyond China’s increasingly assertive land grabs and island-building campaigns—some 1,300 hectares of tiny islets have been landfilled to sustain mostly military infrastructure, including runways long enough to accommodate bombers—low-level skirmishes between Chinese naval patrols and civilian fishing fleets from neighboring countries could spark international conflict. 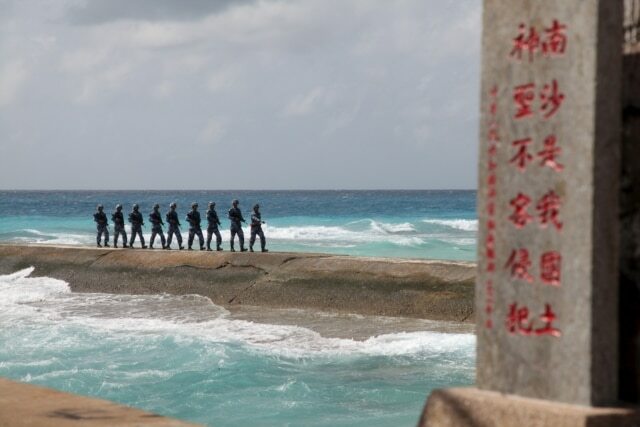 In July, a five-judge panel in The Hague unanimously rejected the legal basis of nearly all of China’s maritime claims. Within weeks, China’s Supreme People’s Court issued a regulation stating a “clear legal basis for China to safeguard maritime order,” in which Beijing vowed to prosecute any foreigners found fishing or prospecting in disputed waters. Other means of settling complex territorial disputes also appear ineffective. The Association of Southeast Asian Nations’ long-delayed code of conduct for the South China Sea, which Beijing officials said they would finalize in 2017, would do little to resolve conflicting claims of sovereignty. Much like the Hague-based tribunal’s ruling, any legally binding ASEAN declaration would lack meaningful mechanisms of enforcement. While the United States has long said it does not take an official position on South China Sea disputes, it steadily criticizes China’s behavior there and plans to expand defense alliances with countries that have overlapping claims. By 2021, U.S. Navy officials plan to expand the Pacific Fleet’s overseas assigned forces by approximately 30 percent. As President Donald Trump assumed office, some observers speculated that, like his immediate predecessors, he might be called upon quickly to handle another South China Sea crisis. Just months into his first term, former President George W. Bush faced an international dispute triggered by a midair collision between a U.S. spy plane and a Chinese fighter jet near Hainan Island. Less than seven weeks after former President Barack Obama took office, Chinese ships and planes confronted the USNS Impeccable, a surveillance ship in waters south of Hainan, and ordered it to leave. 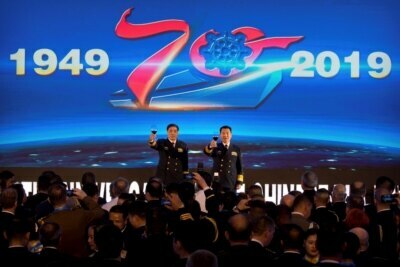 The U.S. said that it had the right to be there and that the ship was harassed, while Beijing defended its actions. Obama responded by sending a guided-missile destroyer to protect the Impeccable. Such incidents, engineered or otherwise, are likely to continue defining the dispute as it unfolds in real time. Until broader questions of maritime sovereignty are resolved, the waterway promises to remain a fulcrum upon which the geopolitics of international trade, and thus the global economy, pivots. We’ll keep close tabs on developments here as they occur. The U.S. and other Western nations have pushed for a “rule-based order” in the South China Sea, which carries a large portion of the world’s maritime freight traffic, calling it critical to regional security and economic prosperity. But Beijing largely views U.N.-backed codes of maritime governance as incompatible with domestic laws, and has continued dredging projects on seven disputed formations for nearly two years, creating artificial micro-islands.